I’ve written a few articles in the past about medicine cards and thought it would be interesting to write about totem animals (which are represented in the medicine card deck) as well. If you live in North America, you have probably at some point seen totem animals represented in the artwork and spirituality of the native tribes of the USA and Canada. Totems can represent an entire tribe, an individual family or just one person. 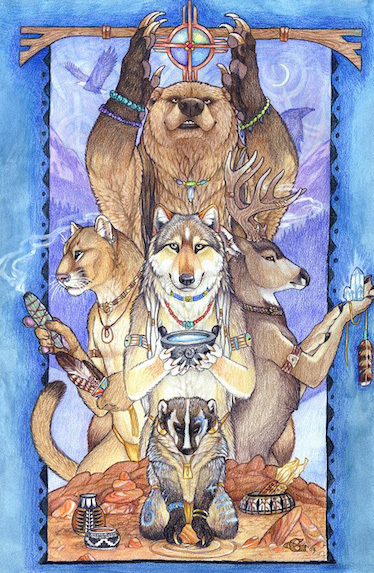 As individuals, the native peoples of the USA and Canada believe that we all have an individual totem animal, which is like a spiritual animal guide. Totem animals follow you for your entire life, and once you’ve left the physical plane, your totem animal then follows you into your spiritual afterlife. Your totem animal is said to represent both your essence as a person and also your dreams and other spiritual characteristics. Totem animals are also believed to communicate knowledge, faith and enlightenment to you as well. When I do totem animal readings for clients, they are frequently pleased at which animal comes up as being their individual totem spirit animal. This is because they may identify with this particular animal already, sometimes since childhood. In fact, I have had many clients who felt a connection to their specific totem animal already, and couldn’t understand why! Sometimes clients have even had dreams of a certain animal or animal symbol or have had those same animals be attracted to THEM. I will also tell you about my totem animal. A number of years ago, by chance, I met the leader of a local native American tribe here in the Pacific Northwest. I met him while he and several of his colleagues were carving a ceremonial canoe at a local community center. I came over to admire the canoe and we ended up having a discussion about the intricate totem animals that were being carved into it. I was very interested in this man’s artwork and carvings, so we exchanged email addresses. As I was leaving, this man asked me if I knew which totem animal was my own, and I (embarrassed) told him I had no idea! 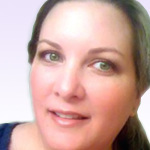 Get the best Psychic advice today from our expert Willow! A few days later I opened my email box to a note from him. He told me in his email that he’d had a dream that re-played our meeting at the community center in an almost identical rewind. The only difference was that when I was leaving the canoe house (in his dream), he said I lifted up my arm and a beautiful owl flew down and landed on it, and off I (and the owl) went! He related this to me in a humorous way, but went on to tell me that this was probably a “sign” in his opinion, that my totem animal was an OWL. (As it turns out, I’d always loved owls as a child and also had donned an owl costume several times when I worked with children in an exercise about ecology). So when I went on to study the owl totem animal, it became even more fascinating! The owl totem is regarded by native Americans as an animal of foresight and knowledge – and also as great ‘readers’ of others. The owl is also a part of many native American legends because of it’s ability to see at night and to predict weather. Owls are regarded as oracles. What is even more interesting is that owls are significant in other cultures as well –African and Australian Aboriginal tribes consider the owl a messenger associated with mystics and shaman. In medieval times, owls were thought to be wizards in animal form and also kindred spirits to prophets. I also relate to the owl because they are night animals, and I love to stay up late too reading books, studying cards and doing readings for my clients in faraway time zones. And there is also an owl that lives in the forest near my house and he frequently greets me when I go outside to walk my dog in the evenings! The owl isn’t the only totem animal that is interesting though – they all have fascinating characteristics. You might already have an animal that you strongly identify with and it may very well be that this same animal is also your totem animal too. I would really enjoy being able to help you discover the knowledge and power offered to you by your totem animal, using my medicine card deck. Would love to hear from u Willow and see what my future holds also would love to know what my totem animal is. This entry was posted in Cards and Divination, Empowerment, Inspiration, Mind, Body & Spirit, Psychics, Shamanism, Spiritual Healing, Sprituality and tagged love, shaman, totem animals on October 1, 2014 by Willow.